He knew we had it." 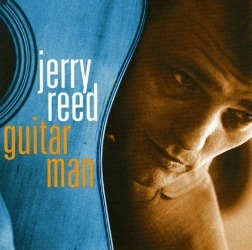 The Guitar Man Oldies Music Lyrics was written by Jerry Reed and released in 1967. Reed's original version charted at #53 on the country charts in July of that same year. 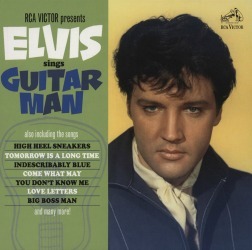 A short time later Elvis heard "Guitar Man" on an LA radio station and was determined to record it. This page is dedicated to that song, however, it's always intriguing to learn how some songs come together to form such a satisfying and unique end result. The songwriter, the singer, background vocalists and session players all have important roles. Some are of the opinion this song would not have been recorded were it not for the guitar talents of Jerry Reed. The Guitar Man Story Begins. The original Hollywood recording session was scheduled to take place in mid August 1967, but was cancelled by Colonel Parker over a legal issue not related to the session. Elvis ended up in Las Vegas. The original session was to involve Billy Strange, songwriter, guitarist, actor and session musician with the famed Wrecking Crew. 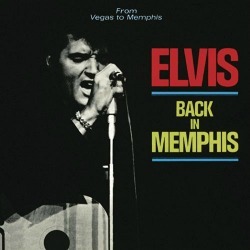 From Las Vegas Elvis continued home to Memphis, making it logical to reschedule the recording session in Nashville. The dates were set for Sept 10th and 11th, 1967. From Memphis to the Nashville Session. The difference with this session is that Fleton Jarvis would be in full control of this session and not Billy Strange. Felton was Elvis' record producer from 1966 to 1977. The sessions kicked off with a rundown of Guitar Man. 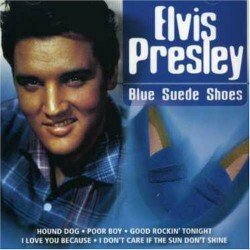 It soon became apparent there was no way they were going to get the sound Elvis heard and was looking for on the original Jerry Reed recording. Elvis wanted Reed in on the session. No one was sure how to get hold of him until someone suggested calling Chet Atkins assistant, Mary Lynch. She said Jerry was fishing but was finally able to locate him on the phone and he agreed to come in. Guitar Man Oldies Music Lyrics - The Guitar Man finally shows up. When he arrived, he looked, said Felton, "like a sure-enough Alabama wild man." You know, he hadn't shaved in about a week, and he had them old clogs on - that was just the way he dressed. He come in and Elvis looked at him and said, "Lord, have mercy, what is that"? Jerry Reed was a genuine individualist, even in Nashville terms. A whirlwind of energy with a ready supply of infectious charm, Reed was never bashful about his talent. Reed said, "I had my own tuning, and they were trying to record Guitar Man, and they couldn't make it feel like my record." Someone in the room noted that Guitar players in here are playing with straight picks and Reed plays with his fingers. Reed sat down, hooked up that electric gut string, tuned the B-string up a whole tone, and he toned the low E-string down a whole tone, so he could bar straight across. Reed immediately took over the session. You can hear it from the first notes of the first take - Reed is coaching the musicians, encouraging them, egging them on. Felton was excited and happy just to be presiding over this special musical experience taking place between Elvis and Jerry Reed. And as soon as they hit the intro Reed said, "You could see Elvis' eyes light up... He knew we had it." 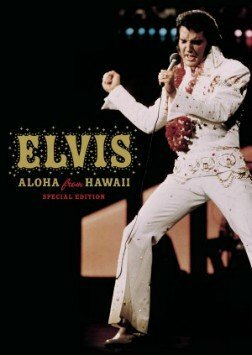 And once Elvis got into the song, it was just a jamming session and then things really began to happen. Enjoy these Jerry Reed lyrics and great vocals by Elvis in this 1967 Jam session recording. 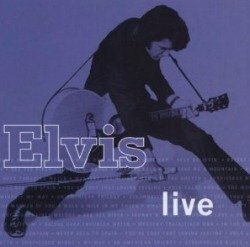 Return to Elvis' main page. Go to Guitar classics page.